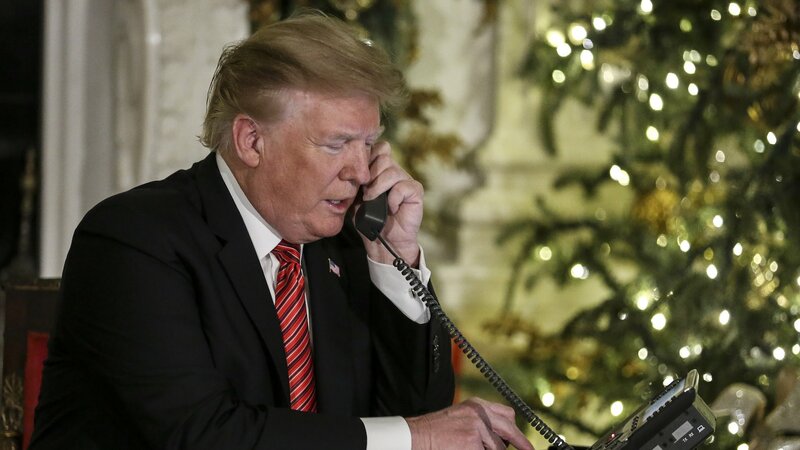 US President Donald Trump today urged wireless carriers to deploy 5G and “6G” networks “as soon as possible,” seemingly ignoring the small problem that 6G technology doesn’t exist yet. “We must always be the leader in everything we do, especially when it comes to the very exciting world of technology!” Trump concluded. 5G is certainly coming, whether Trump tweets about it or not. But today, there’s more 5G hype and 5G word games than there is actual 5G. Verizon is offering 5G home Internet in a few cities, but for now it’s based on Verizon’s own technology rather than the 5G NR (New Radio) global standard. AT&T has deliberately misled customers by relabeling large portions of its 4G LTE network as 5G. Smartphone users in areas where AT&T is using advanced 4G LTE technology now see a “5G E” network indicator. 5G E stands for 5G Evolution, but it is, in fact, nothing more than 4G with LTE features like 256 QAM, 4×4 MIMO, and three-way carrier aggregation. Trump’s call for quick 5G deployment isn’t likely to make any real difference, since carriers are already deep into 5G planning and are starting to deploy networks in some cities. His call for 6G also isn’t likely to make any real difference, because each new wireless generation takes years to deploy, and 6G planning is in the embryonic stages at best. 6G simply hasn’t been defined yet, Network 2030 Chairman and Huawei chief scientist Richard Li told IEEE Spectrum in August 2018. A UC Santa Barbara group is researching new technologies that it says could someday become the basis for 6G. Qualcomm said it’s “thinking” about 6G in 2017, but 6G’s exact capabilities and timing are still in the speculation phase. “We’ll have to wait at least 10 years before seeing the first specifications of 6G approved,” IoT Times wrote in June 2018. 5G isn’t available for smartphones in the US, but there’s at least a real 5G specification for the industry to follow. Despite its “5G E” misdirection, AT&T has deployed standards-based 5G in parts of 12 cities and is offering a 5G mobile hotspot. Verizon today said it’s rolling out 5G to more than 30 cities this year, but the Verizon announcement didn’t say when the company is switching from its own 5G technology to the global standard or when 5G phones will be available. The Federal Communications Commission has taken advantage of 5G hype to justify regulatory rollbacks. FCC Chairman Ajit Pai in September 2018 led a vote to prevent city and town governments from charging wireless carriers about $2 billion worth of fees related to deployment of wireless equipment such as small cells. The FCC order also limits the kinds of aesthetic requirements cities and towns can impose on carrier deployments. The $2 billion, spread over 10 years, amounts to less than 1 percent of carriers’ estimated costs for deploying 5G small cells throughout the US. It’s thus no surprise that Verizon said the savings won’t cause it to move faster in deploying 5G. Verizon is already deploying 5G as fast as it can, the carrier said. Despite that, Pai and fellow Republican FCC commissioners claim deregulation is needed to push the US from 4G to 5G. If Trump’s tweets today have any impact, it could be to give the FCC more impetus to eliminate regulations under the guise of spurring adoption of 5G technology that was already being adopted anyway.